Danny Carey and his drums. Daniel Edwin Carey (born May 10, 1961) is an American drummer and instrumentalist best known for his work in American Grammy Award-winning progressive metal band Tool. He has also contributed to albums by artists such as Zaum, Green Jellö, Pigface, Skinny Puppy, Adrian Belew of King Crimson, Carole King, Collide, Lusk, and the Melvins. Zaum was a music project band that includes Tool drummer Danny Carey, along with Tool associates Chris Pitman, Vince DeFranco, and Marko Fox. Born in Lawrence, Kansas, Carey's first encounter with the drums began at the age of ten by joining the school band and taking private lessons on the snare drum. Two years later, Carey began to practice on a drum set. In his senior year of high school in Paola, Kansas, Carey joined the high school jazz band. Jazz would later play a huge role in his signature approach to the drum set in a rock setting. As Carey progressed through high school and later college at the University of Missouri–Kansas City, he began expanding his studies in percussion with theory into the principles of geometry, science, and metaphysics as well as delving into Sacred Geometry and certain hidden aspects of life and the occult. Carey also played jazz while attending college and got to experience the jazz scene in Kansas City. Lawrence is the county seat of Douglas County and sixth-largest city in Kansas. It is located in the northeastern sector of the state, astride Interstate 70, between the Kansas and Wakarusa Rivers. As of the 2010 census, the city's population was 87,643. Lawrence is a college town and the home to both the University of Kansas and Haskell Indian Nations University. Paola is a city in and the county seat of Miami County, Kansas, United States. As of the 2010 census, the city population was 5,602. After college, a friend and bandmate convinced Carey to leave Kansas for Portland, Oregon, where he played briefly in various bands before moving to Los Angeles, where he was able to perform as a studio drummer with Carole King and perform live sets with Pigmy Love Circus. He also played in Green Jellö as Danny Longlegs and recorded the album Cereal Killer. He would later find his way to Tool after coming to know singer Maynard James Keenan and guitarist Adam Jones and practicing with them in place of drummers the two had requested but had never shown up. Besides Tool, Carey also finds time for other projects new and old such as Legend of the Seagullmen, Pigmy Love Circus, Volto!, and Zaum. Portland is the largest and most populous city in the U.S. state of Oregon and the seat of Multnomah County. It is a major port in the Willamette Valley region of the Pacific Northwest, at the confluence of the Willamette and Columbia rivers. As of 2017, Portland had an estimated population of 647,805, making it the 26th-largest city in the United States, and the second-most populous in the Pacific Northwest. Approximately 2.4 million people live in the Portland metropolitan statistical area (MSA), making it the 25th most populous MSA in the United States. Its Combined Statistical Area (CSA) ranks 18th-largest with a population of around 3.2 million. Approximately 60% of Oregon's population resides within the Portland metropolitan area. Carole King is an American singer-songwriter who has been active since 1958, initially as one of the staff songwriters at the Brill Building and later as a solo artist. She is the most successful female songwriter of the latter half of the 20th century in the US, having written or co-written 118 pop hits on the Billboard Hot 100 between 1955 and 1999. King also wrote 61 hits that charted in the UK, making her the most successful female songwriter on the UK singles charts between 1952 and 2005. Although Carey has not officially aligned himself with any particular school of philosophy or religion, he has projected a deep interest in and understanding for the magickal arts – among them various occult teachings. Spiritual symbols, geometric designs, and special symbolic percussive devices are featured on and in his drum kit. He is also a collector of Aleister Crowley's first edition books, as well as books by one of thelema's more innovative students, Kenneth Grant. Magick, in the context of Aleister Crowley's Thelema, is a term used to show and differentiate the occult from performance magic and is defined as "the Science and Art of causing Change to occur in conformity with Will", including both "mundane" acts of will as well as ritual magic. Crowley wrote that "it is theoretically possible to cause in any object any change of which that object is capable by nature". John Symonds and Kenneth Grant attach a deeper occult significance to this preference. The meaning of spirituality has developed and expanded over time, and various connotations can be found alongside each other. The Book of Lies was written by English occultist and teacher Aleister Crowley and first published in 1912 or 1913. As Crowley describes it: "This book deals with many matters on all planes of the very highest importance. It is an official publication for Babes of the Abyss, but is recommended even to beginners as highly suggestive." Volto! is an American rock jam band, based in Los Angeles, California, United States. First formed in the early 2000s, the current band roster consists of Lance Morrison on bass, Danny Carey on drums, and John Ziegler on guitars. Carey and Ziegler played together in Pigmy Love Circus and in jam sessions at a jazz club in Southern California's San Fernando Valley with Morrison. Though the three musicians often played jazz fusion during the sessions, their music evolved to a sound more like progressive rock, as evidenced on their debut release Incitare. Pigmy Love Circus is a Los Angeles rock band that has existed since the mid 1980s era of the Hollywood underground rock scene. At Winter NAMM 2009 Sonor released a Danny Carey signature snare drum, which is a 1 mm thick bronze 14x8" snare with laser etched talisman symbols and his signature engraved around the vent hole. Carey also uses Paiste cymbals, Evans Drumheads, Hammerax Percussion, and Korg and Roland electronics. Carey's popularity among drummers and non-drummers alike stems from the diversity of his sound and dynamics through his years of learning jazz music, his technical ability, frequent use of odd time signatures, polyrhythms and polymeters. 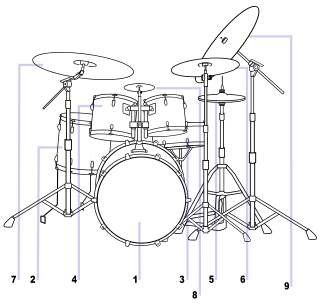 He has stated in interviews that he effectively treats his feet as he does his hands: he practices rudiments (used for sticking techniques) and even snare drum solos with his feet to improve his double bass drumming, hi-hat control and foot independence. In search of new techniques, Carey has studied tabla with Aloke Dutta, who can be heard playing on the live version of the song "Pushit" (from Salival ). This is especially apparent on tracks such as "Disposition" ( Lateralus ) or "Right in Two" (10,000 Days), for which Carey has recorded the tabla parts himself in the studio. The tabla (and other percussive instruments) used in Tool's music are replicated live using the Mandala pads (in fact the pads are also used when recording in the studio, a notable example being the tabla solo of "Right in Two" from 10,000 Days). He has also stated that when he is playing to an odd time signature, he tries to drum to the "feel" of the song and establish general "inner pulse" for the given time signature instead of fully counting it out. James Joseph Chamberlin is an American drummer and record producer. He is best known as the drummer for the alternative rock band The Smashing Pumpkins. Following the 2000 breakup of the band, Chamberlin joined Pumpkins frontman Billy Corgan in the supergroup Zwan and also formed his own group, the Jimmy Chamberlin Complex. In 2005, Chamberlin joined Corgan in reforming The Smashing Pumpkins; he eventually left the group in March 2009, though he returned again in 2015 for a summer tour. He performed in the group Skysaw until 2012. He is currently active under the Jimmy Chamberlin Complex name. In addition to his current work as CEO, Chamberlin has joined Chicago jazz saxophonist Frank Catalano for a string of 2013–15 performances in the Chicago area. An EP by Catalano and Chamberlin Love Supreme Collective - EP was released on July 29, 2014. John Dolmayan is an American musician, songwriter and drummer. He is best known as the drummer of System of a Down. Dolmayan is also the drummer for the band Indicator and former drummer for Scars on Broadway. Loudwire listed him as one of the Top 66 Hard Rock + Metal Drummers of All Time, with Dolmayan being ranked at number 31. Joseph Albert Morello was a jazz drummer best known for his work with the Dave Brubeck Quartet. He was particularly noted for playing in the unusual time signatures employed by that group in such pieces as "Take Five" and "Blue Rondo à la Turk". 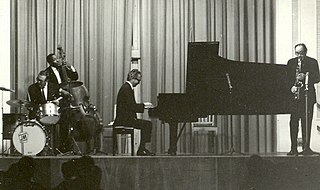 Popular for its work on college campuses during the 1950s, Brubeck's group reached new heights with Morello. In June 1959, Morello participated in a recording session with the quartet — completed by the alto saxophonist Paul Desmond and the bassist Eugene Wright — that yielded "Kathy's Waltz" and "Three to Get Ready," both of which intermingled 3/4 and 4/4 time signatures. Carl Frederick Kendall Palmer is an English drummer and percussionist, credited as one of the most respected rock drummers to emerge from the 1960s. He is a veteran of a number of famous English bands: the Crazy World of Arthur Brown, Atomic Rooster, Emerson, Lake & Palmer, and Asia. Inducted into the Modern Drummer Hall of Fame in 1989, he was awarded "Prog God" at the 2017 Progressive Music Awards. Matthew David Cameron is an American musician who currently serves as the drummer for Pearl Jam. After getting his start with the Seattle, Washington-based bands Bam Bam and Skin Yard, he first gained fame as the drummer for Soundgarden, which he joined in 1986, appeared on every studio album, and remained in until the band's break-up in 1997. In 1998, Cameron was invited to play on Pearl Jam's U.S. Yield Tour. He soon became a permanent member and has remained in the band ever since. In 2010, Soundgarden reunited, and Cameron remained with them until the death of Soundgarden's lead singer Chris Cornell on May 18, 2017. Carter Anthony Beauford is an American drummer, percussionist, and founding member of Dave Matthews Band. He is known for his ability to adapt to a variety of genres, and both his ambidextrous and his open-handed drumming styles. He plays the drums and sings backing vocals in the band. Beauford was ranked number 10 by a Rolling Stone magazine reader's poll in 2010 for greatest drummers of all-time. Rod Morgenstein is an American drummer and music educator. He is best known for his work with the rock band Winger and with the jazz fusion band Dixie Dregs. Roy Maurice Mayorga is an American musician, best known as the drummer for the American hard rock band Stone Sour. He is of Ecuadorian and Cuban descent. Chris Pitman is an American musician best known for his involvement with the hard rock band Guns N' Roses. A multi-instrumentalist, Pitman is known to play keyboards, guitar and drums, in addition to his role as a lead or backing vocalist. Pitman currently fronts alternative rock band SexTapes and previously worked with such bands as Guns N' Roses, Lusk, Replicants and Tool. Steve Jordan is an American drummer, songwriter, and record producer who has spent much of his career as a studio musician. During the 1970s and '80s, he was a member of the bands for the television shows Saturday Night Live and Late Night With David Letterman. In the early 80's Steve Jordan was a member of the Steve Khan band, along with Anthony Jackson on bass, and Manolo Badrena on percussion. In 2005, he became a member of the John Mayer Trio. Omar Hakim is an American jazz, jazz fusion and pop music drummer, producer, arranger and composer. He has worked with David Bowie, Sting, Madonna, Dire Straits, Journey, Kate Bush, George Benson, Miles Davis, Daft Punk, Mariah Carey, and Celine Dion. "Rosetta Stoned" is a song by the American progressive metal band Tool. It was released on May 2, 2006, as the eighth track off their fourth studio album, 10,000 Days. ↑ Mahaffey, Joel (August 6, 2001). "The Tool Page: Danny Carey Biography". The Tool Page (t.d.n). ↑ "Official Tool website – Danny Carey's personal profile". Toolband.com. Archived from the original on October 3, 2011. Retrieved October 9, 2011. ↑ "Bob Frissell's home page". Bobfrissell.com. October 1, 2011. Retrieved 2011-10-09. ↑ "Fall 1994 newsletter". Toolshed.down.net. Retrieved 2011-10-09. ↑ Geist, Brandon (November 17, 2011). "Exclusive: Feersum Ennjin Premiere "The Fourth," Featuring Tool's Danny Carey". Revolver Magazine. Archived from the original on March 3, 2016. Retrieved October 9, 2012. ↑ "vicfirth.com". vicfirth.com. Retrieved November 10, 2014. ↑ "truelinedrumsticks.com". truelinedrumsticks.com. Retrieved October 9, 2012. ↑ "Danny Carey: Artists: Modern Drummer Magazine". Moderndrummer.com. Archived from the original on September 13, 2009. Retrieved October 9, 2011.